← Storm Power Outages Didn’t Take the Fun Out of Bowie Store’s 25th Anniversary Party! It is the end of the July and my tomato plants are in full gear. I have had some issues with soil drainage causing some tomatoes to crack, but I think overall they are doing well. I have been sampling the three different varieties and interesting enough, I like the smallest ones the best. These tomatoes are tiny and tangy. The BEST warmed in the summer sun. My husband thinks they taste like tomato sauce so I am thinking he sees them as sweet. They usually do not make it in the house because I am too busy eating them right off the vine. If I can get any in the door, I like to roast them in the oven with a little olive oil, salt, pepper, and top with fresh chopped basil once they pop. 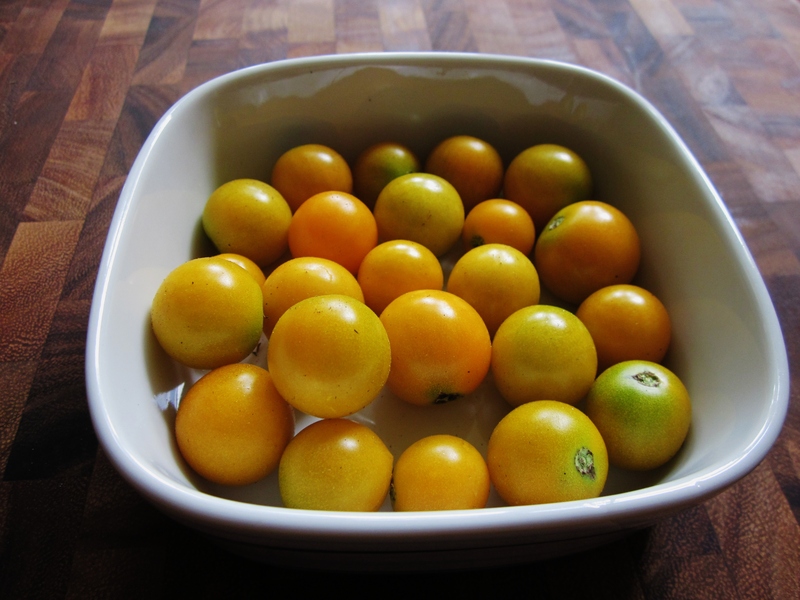 Sun Golds look like your average cherry tomato inside, but they taste so much better. 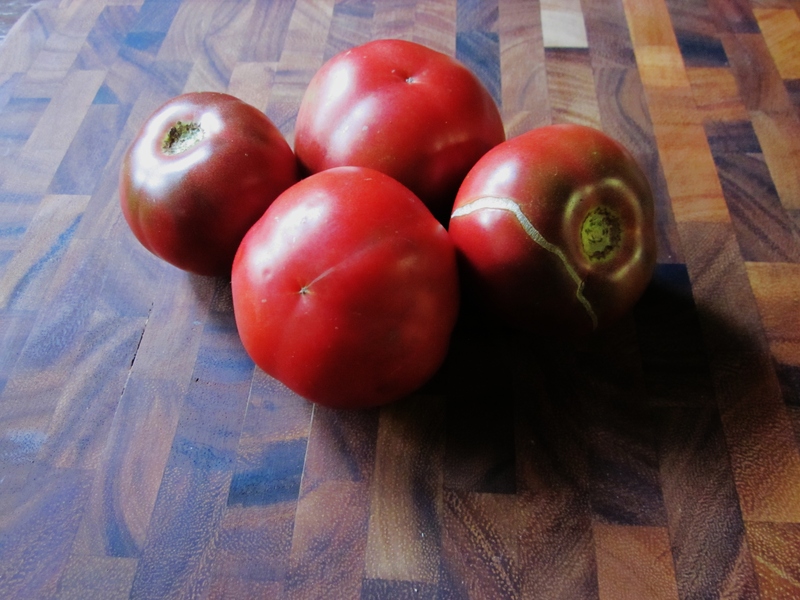 Next up we have Black from Tula tomatoes. This variety was an experiment. 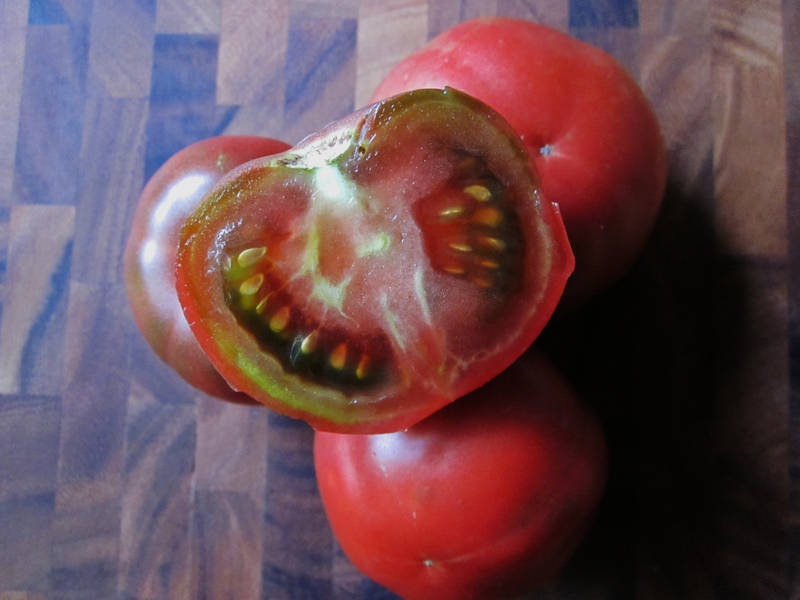 I had never heard of them, but I liked the name and thought a black tomato could be interesting. 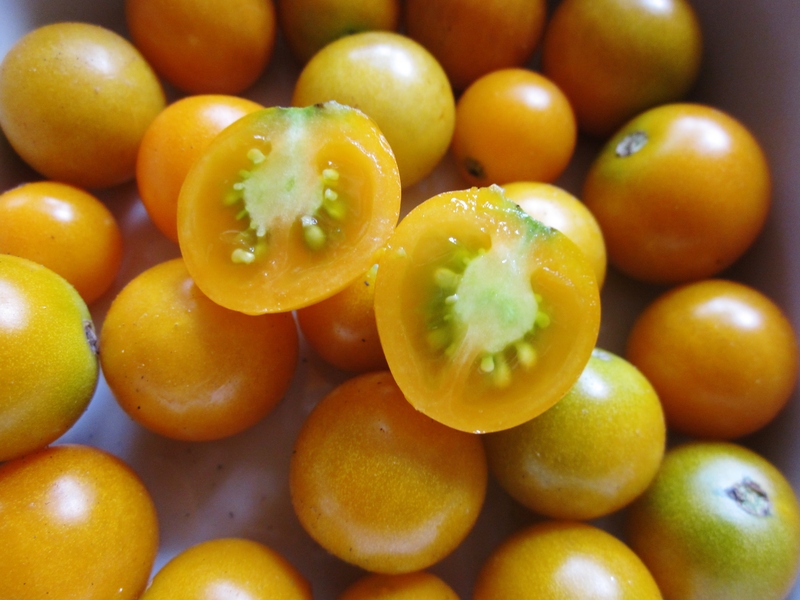 They are smaller than the average heirloom tomato, and they have a rich flavor that does well on top of a salad. Last but not least we have the Brandywine. 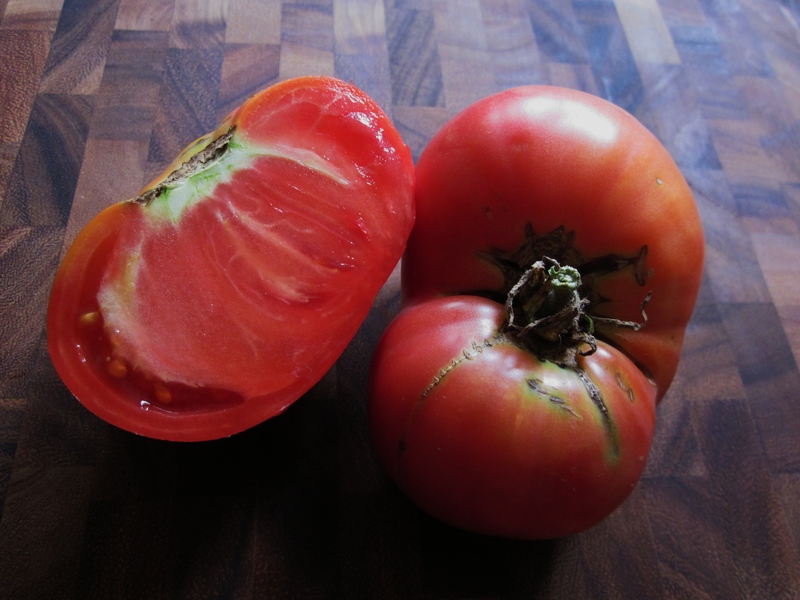 The Brandywine was one of the first heirloom tomatoes I tasted. They are a common variety sold at many farmer’s markets and you can find them most places heirlooms are sold. I see them as the perfect slicing tomato. 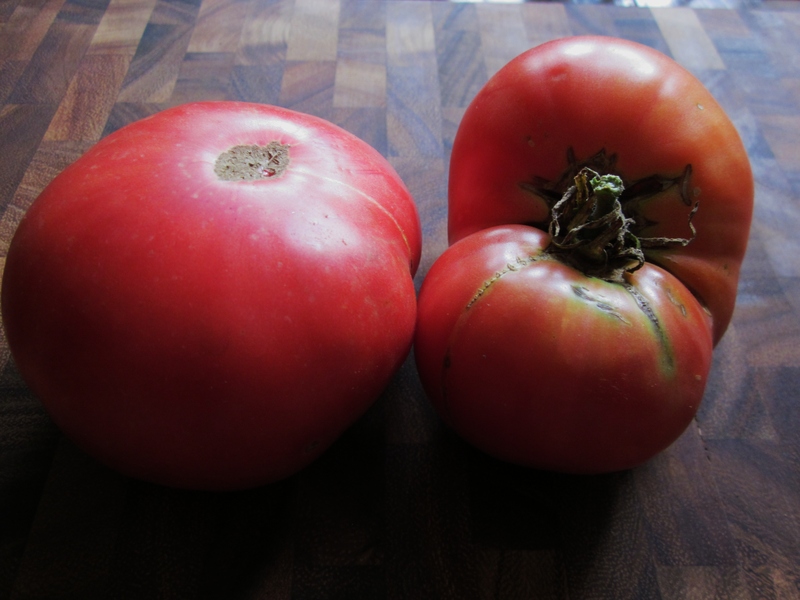 They are thick and meaty (a “meaty” tomato just means that they are not full of water and tasteless). I have been eating a lot of grilled tomato and cheese sandwiches with these guys. I have had a steady stream of tomatoes since the middle of July. In the summertime tomatoes are a staple to salads and can get pricey. With $12 and a little sweat equity I will not have to purchase tomatoes at least until the end of September when tomatoes go out the door and fall vegetables start flooding in. I think that anyone who can commit to a little time and effort every week can grow some amazing organic heirloom tomatoes! Heather works in MOMs Jessup. This entry was posted in Fruits, Gardening, Organic Food, Vegetables and tagged Black from Tula, Brandywine tomatoes, gardening, grilled cheese and tomato, grow your own, harvest, heirloom tomato, home garden, homegrown, juicy tomato, Maryland, meaty tomato, Mid-Atlantic, organic gardening, roasted tomatoes, slicing tomato, summer fruits, Summer garden, summer vegetables, Sun Gold, tomato and basil, tomatoes. Bookmark the permalink.